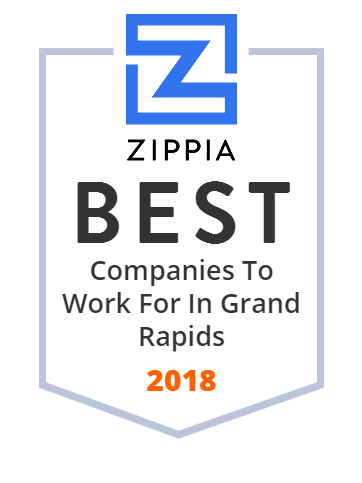 We hand-curated a list of the best companies to work for headquartered in and around Grand Rapids, MI using data on salaries, company financial health, and employee diversity. Steelcase is a United States-based furniture company founded in 1912 in Grand Rapids, Michigan. Alliance Beverage Distributing is the largest distributor of fine beer, wine, and non-alcoholic beverages in West Michigan. Pine Rest Christian Mental Health Services is a psychiatric hospital and behavioral health provider, with the main treatment campus located in Gaines Township, Michigan. National Heritage Academies, Inc. is a for-profit education management organization headquartered in Grand Rapids, Michigan. Leaders in innovative memory loss treatments. Developing drugs to treat Alzheimer's, Depression, and Brain Injury. Spectrum Health Hospitals, Inc. owns and operates healthcare facilities. The company owns the Butterworth, Blodgett, and the Helen DeVos children's hospitals. Spectrum Health Hospitals, Inc. was founded in 1961 and is based in Grand Rapids, Michigan. Spectrum Health Hospitals, Inc. operates as a subsidiary of Spectrum Health Systems, Inc.